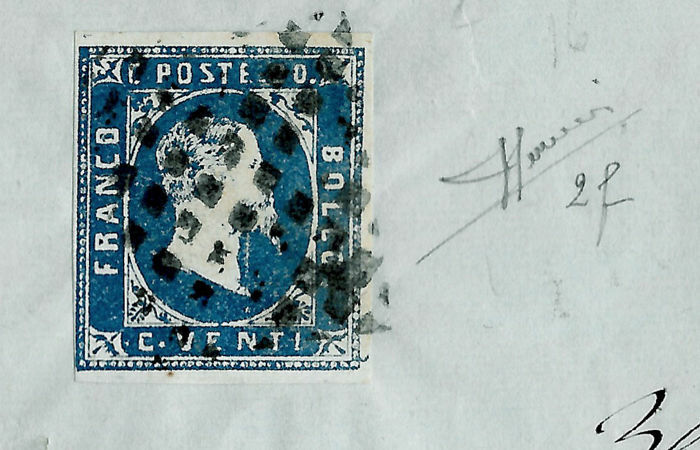 First issue 20 C. light blue, IV lithographic print, Sassone no. 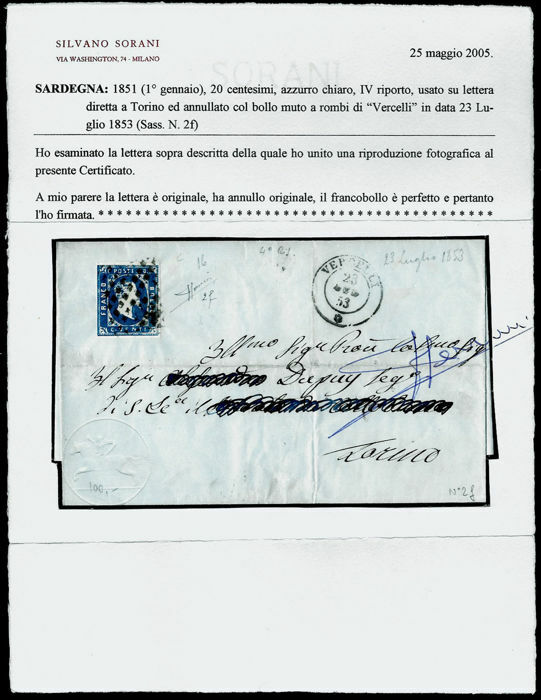 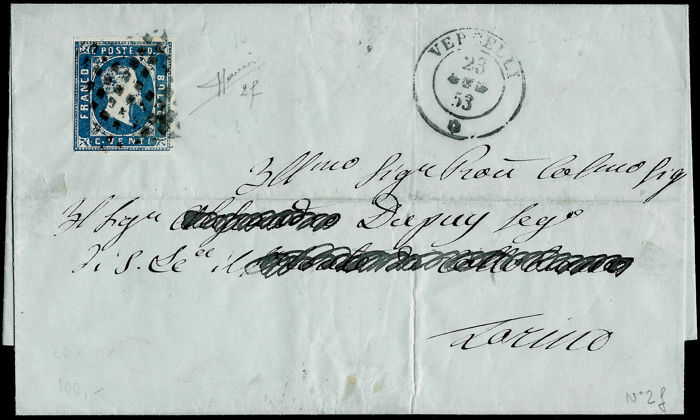 2f on letter from Vercelli to Turin 2371/53. 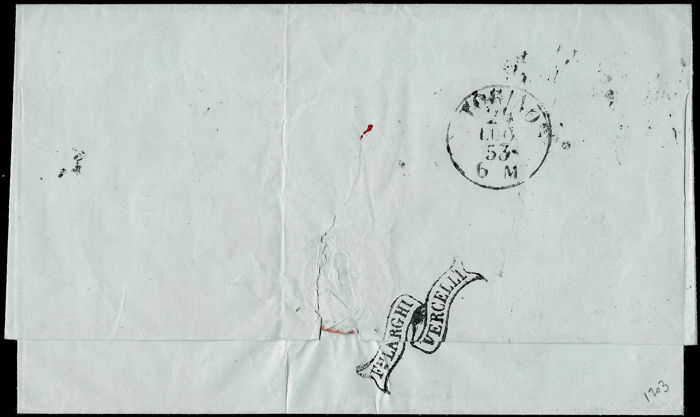 Broad margins on each side.